James Mackler, the once and future Democratic candidate for the U.S. Senate, was on hand for the beginning of Monday's meeting of the Shelby County Commission and, having been asked to open the session, presided over the pledge of allegiance to the flag with the same clarion command voice he must have been accustomed to as a member of American military effort in Afghanistan, where he was a helicopter pilot. 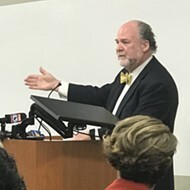 Mackler, a Nashville attorney, was making his second appearance in Memphis within a month, having assured the members of the Germantown Democratic Club in late January that he intended to run in earnest in 2020 for the seat being vacated by the quasi-moderate Republican Senator Lamar Alexander — and that he would not spare the person of President Donald Trump in the process. The candidate, who aborted his first Senate run in 2018 to allow former Nashville mayor and Tennessee governor Phil Bredesen to carry the Democratic standard against ultimate Republican winner, Marsha Blackburn, is aware that he will likely face the same sort of negative campaigning as did Bredesen (presumably at the hands of GOP consultant Ward Baker, who takes no prisoners). But, having faced actual, not pretend combat, Mackler figures he can handle it. After the commission meeting, he was the beneficiary of a fund-raiser in Midtown. With the exception of an unusually complicated election of a new member of the Shelby County School Board to succeed Theresa Jones, now a city court judge, and a few housekeeping measures, Monday's meeting of the commission concentrated on events and circumstances that tied into Black History Month. Among those honored were the five black women who had formerly served as Shelby County Commissioners. They were: the late Minerva Johnican, Bridget Chisholm, Deidre Malone, Edith Ann Moore, and Henri Brooks — all of whom, or their family members in their stead, were presented plaques in honor of their service. Next to be recognized was Jerry C. Johnson, the 101-year-old former basketball coach, for 46 years, of LeMoyne-Owen College. Johnson entertained attendees with reminiscences involving former broadcaster/city councilman Myron Lowery, during his time as a player. 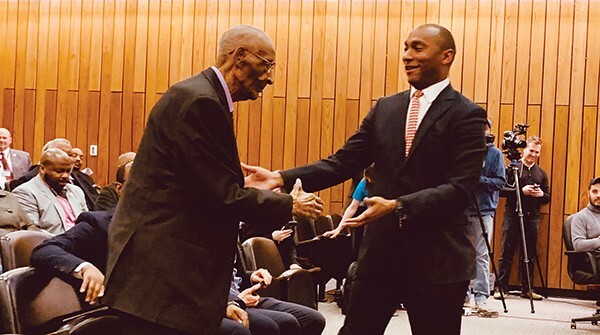 There was also a proclamation extolling the historical figure, Robert R. Church Sr., for "his heroism in the face of adversity, his business acumen, political savvy, philanthropy, and enduring contributions to Memphis and Shelby County." The election of a new school board member underwent considerable delay as one contender, Tyree Daniels, went through an elongated back-and-forth with commissioners about the issue of whether his residence was in the district he sought to represent. 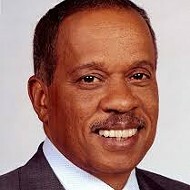 The discussion grew thorny as Daniels opened up more questions about his actual residence than he was able to resolve. Ultimately, he withdrew, and the new school board member selected was Althea Green, a pastor and retired teacher who had obvious backing from educators attending the meeting. • Was a piece of maiden legislation by freshman Democratic state state Representative London Lamar of Memphis just damned with faint praise? Or praised with faint damns? Either definition might describe the first bill of Lamar's to be introduced and heard in committee last week. 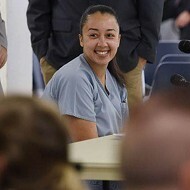 HB17, which is inspired by the Cyntoia Brown case, would, in the language of its caption, establish "a presumption that a minor who is the victim of a sexual offense or engaged in prostitution using force intended or likely to cause death or serious bodily injury is presumed to have held a reasonable belief that the use of force is immediately necessary to avoid imminent death or serious bodily injury." Until her sentence was commuted in January by outgoing Governor Bill Haslam, Brown had been serving a sentence of 51 years in the Tennessee Prison for Women in Nashville for first-degree murder, felony murder, and aggravated robbery. Brown's crime was committed when she was 15; she shot a john in the back of the head at a time when she was under the control of a pimp whose street name was Kut-Throat. When tried for the crime, Brown maintained that she had feared for her life. Before Lamar's bill was heard in the criminal justice subcommittee of House Judiciary on Wednesday, she, her Senate co-sponsor Brenda Gilmore (D-Nashville), and numerous supporters of the legislation held a press conference on the measure in a packed room in the Cordell Hull Building. It was a reminder of the notoriety of the Brown case, and the reality that it had become a cause celebre, related to the issue — a prevailing one on Capitol Hill these days — of criminal justice reform. Certainly there was a tone of appreciative gallantry toward Lamar and her legislation — both in a motion by Representative Michael Curcio (R-Dickson) to send the bill to summer study and in courtesy remarks by committee member William Lamberth (R-Portland), the House majority Leader. They and other members of the subcommittee heaped flattering remarks on Lamar — words that were strangely out of sync with the unanimous voice vote in favor of Curcio's motion. 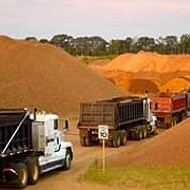 As often as not, "summer study" is a destination for legislation on its way to oblivion, a fact well known to Lamar's fellow Memphian, Representative Antonio Parkinson, who expressed a concern that the bill was being shunted, as he put it, toward "the abyss of summer study." But Parkinson was told that such was not the case — that, as both Curcio and Lamberth stated, there were just some "language problems" that needed to be worked out. The bill addresses "a real issue," said Lamberth, maintaining that the measure would most surely be taken seriously. In fact, more than a few meritorious bills have in fact undergone serious study over the summer and gone on to be passed. If that should be the case, the bill might re-emerge with fresh laurels at about the same time that Brown is scheduled to leave prison, on August 7th.